Time is going by quickly. 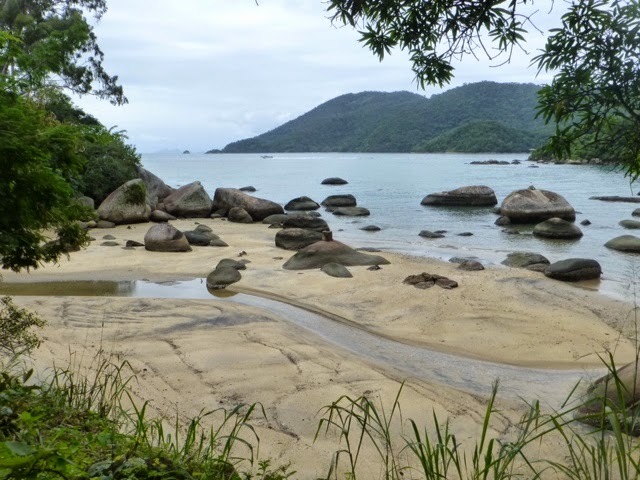 We were in Ilha Grande for four days and have moved onward. 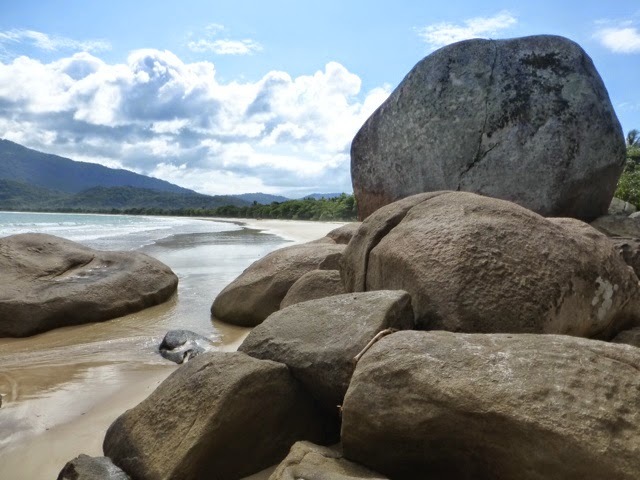 It's time to recap our adventures in Ilha Grande. 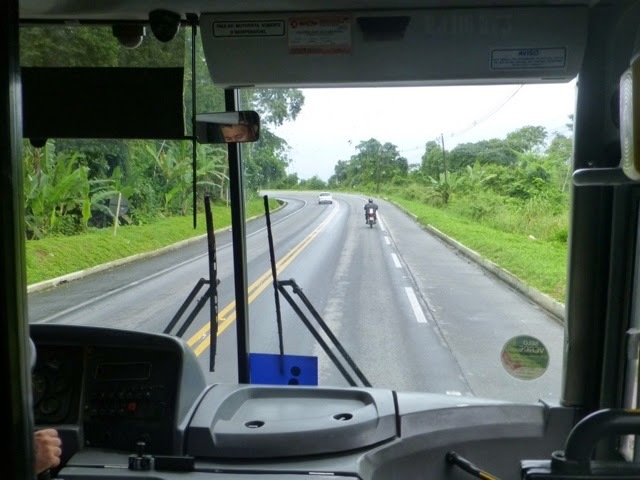 From Paraty we took a local bus north for nearly two hours that dropped us off in the middle of Angra dos Reis. We had a little bit of trouble finding the ferry to Ilha Grande but after a little hunting, we found the "fast" boat to the island. 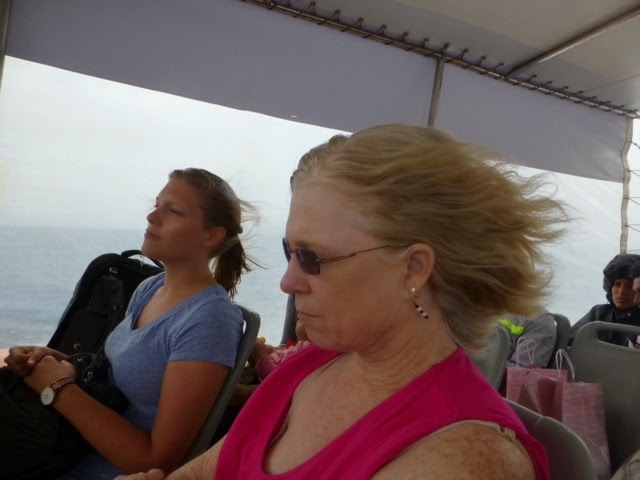 Taking the speed boat Is 3x the price of the slow ferry, but at $15, it was affordable and got us there in 30 minutes instead of 1 1/2 hours. 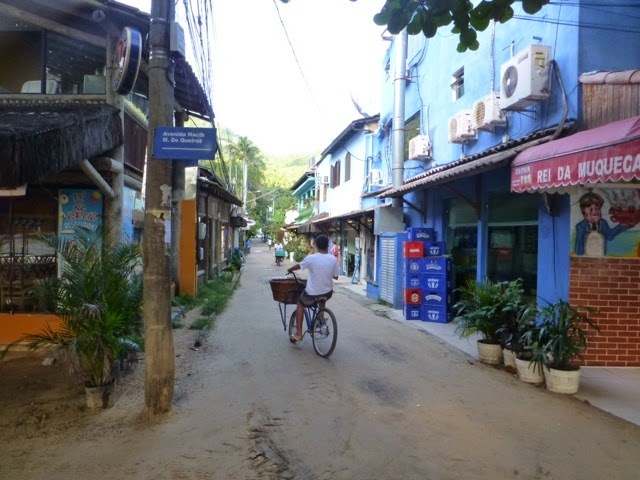 The island town of Abrao is very quaint in spite of historically being the center of Rio's prison system until the mid 1960's. Today, it's small town with cobble stone and sandy streets. The beaches are magnificent. The back drop is a dense jungle with enormous rock outcroppings. We stayed in the center of town at a pousada (B&B) just off the beach that offered a sparse room with a decent buffet breakfast. The weather ranged from sunny days to overcast with light rains. 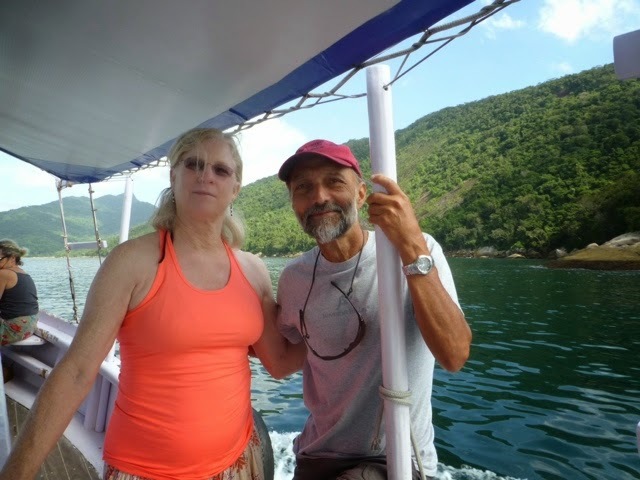 Fortunately, the day we picked to go on a boat and beach tour, it turned out to be the sunniest day we spent in Ilha Grande. The boat dropped us of at a small beach on the west side of the island. From there we had to walk across a pennisula to the east side (the windward side) of the island where there was a long stretch of white sandy beach. 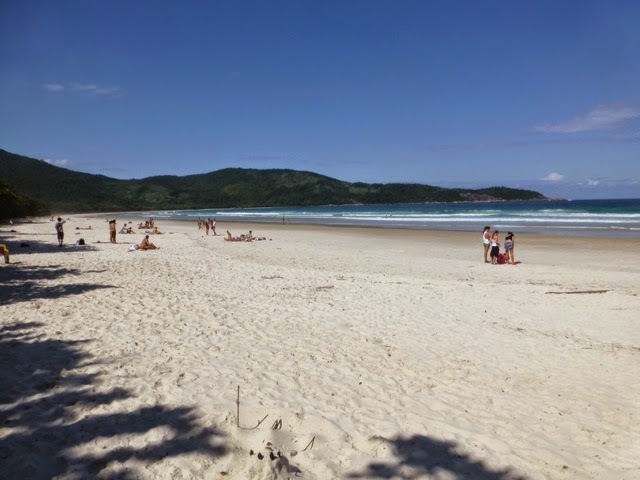 Truly a fabulours, world class beach - one of the best we've encountered. 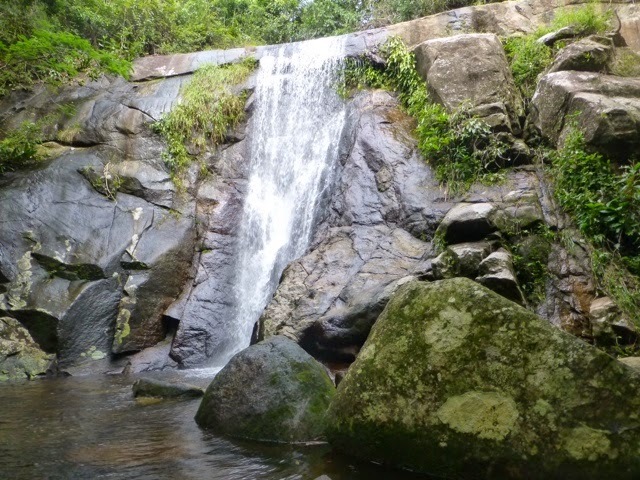 On one of the other days we were on Ilha Grande, we hiked to a lovely waterfall. It was a moderately easy hike through dense rain forest. Along the way, we found the town's aquaduct, a structure built well over a hundred years ago that still serves the community today. 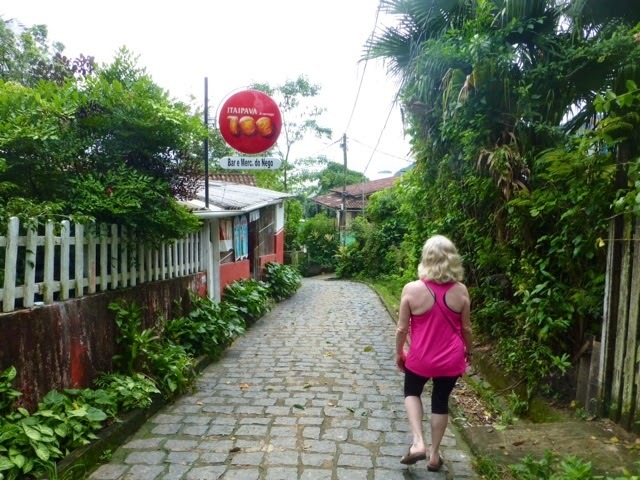 Our last day in Ilha Grande was spent dodging rain in between walks. But we still managed to take some nice walks around the hills of Abrao and along the beaches. Naturally, on the very morning we were ready to leave, we woke up to perfectly sunny skies. 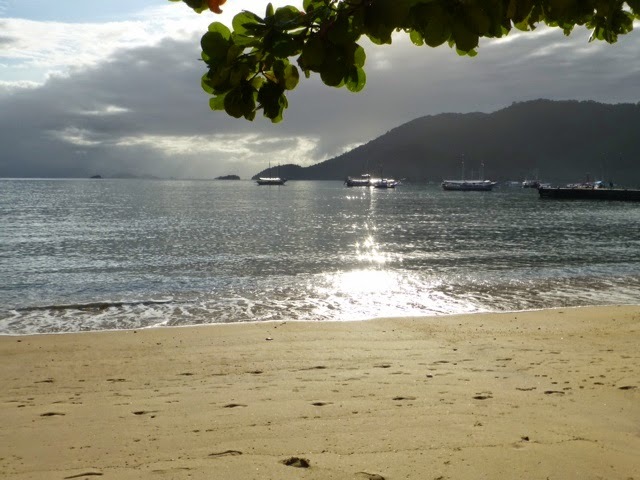 But, alas, it was time to leave and head off to Angra dos Reis, our next stop.